Journalism has its challenges, but little compares to the heart-wrenching difficulty we faced in picking just three winners for our first-ever Pet Issue photo contest. Truly, all the sweet pets submitted to us — more than 250 in one week — are winners in our eyes, simply for capturing the hearts of their owners, who were all so enthusiastic to share their stories with us. Thank you to everyone who submitted — we laughed, aww-ed and smiled over each furry face. Now, meet the three animal companions who came out ahead of the pack. "Barnaby was born on June 13, 2017, and we just celebrated his first birthday. He has been with us since he was six weeks old, and ever since then he has been such a great addition to our family. We take him almost everywhere we go such as school, stores, family's houses, and even Pike Place Market. For an animal with pokey quills, he's extremely cuddly and friendly once he gets to know you. He loves to lay on your belly while you watch a show, or even lay on your back while doing homework. 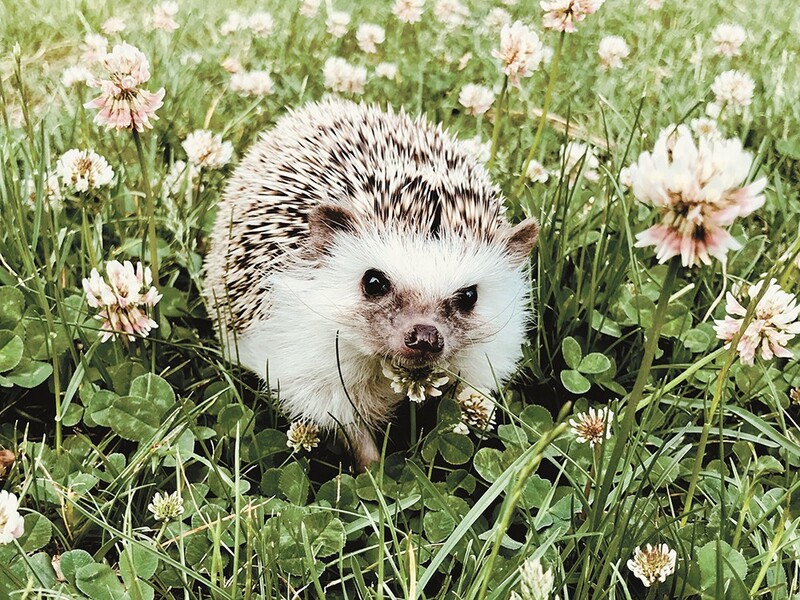 He loves nature — it brings out the wild hedgehog in him, and he goes crazy whenever we put him in real grass." 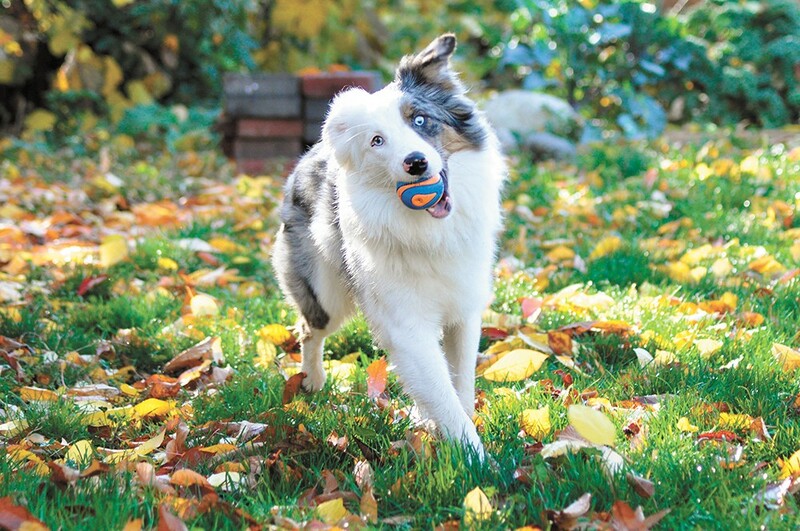 "Atticus is a deaf, double merle Australian shepherd. I acquired him two years ago when I was fostering through a rescue and couldn't stand to give him up (#fosterfail). Atti's deafness doesn't slow him down one bit — he is the friendliest, sweetest wigglebutt who adores all people, especially lights up around kids and enjoys nothing better than a good cuddle session. Atti has become a great advocate for responsible breeding, as the result of a poor pairing himself: Two dogs with a merle patterned coat should never be bred together due to the health issues it can cause. His bright and cheerful demeanor draws people to him and usually ends with a positive conversation! He has also become a great temperament tester for new foster dogs and has become quite adept at helping other dogs find their new homes." "Prince was rescued by a local veterinarian when he was brought into the office [Hometown Animal Hospital] with a life-threatening, infected broken leg at the tender age of four weeks old. His leg had swollen up to be nearly the size of his head, he was underweight and infested with fleas and parasites called coccidia. Due to expenses, his previous owner decided to surrender Prince to the clinic so that he could receive proper care and live to find a loving home. This meant Prince needed to be bottle fed and weaned until he was healed and able to be adopted out. I fostered him and fell in love! He is now fully healed, and trained to walk on a leash. 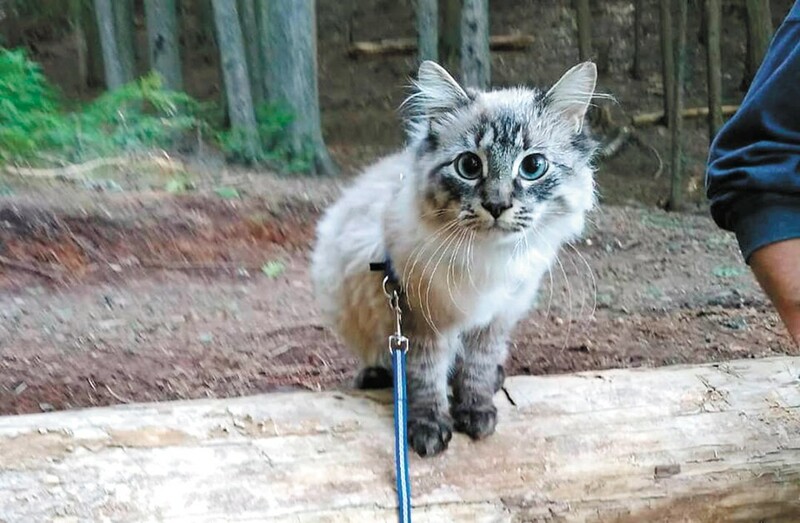 He is an adventure cat and enjoys activities such as clicker training, hiking in the forest and riding on top of his carrier in public places like the park and food truck rallies. I feel he is a wonderful example of how fostering saves lives, and those lives can be pretty great to share!" The original print version of this article was headlined "Meet the Winners!"